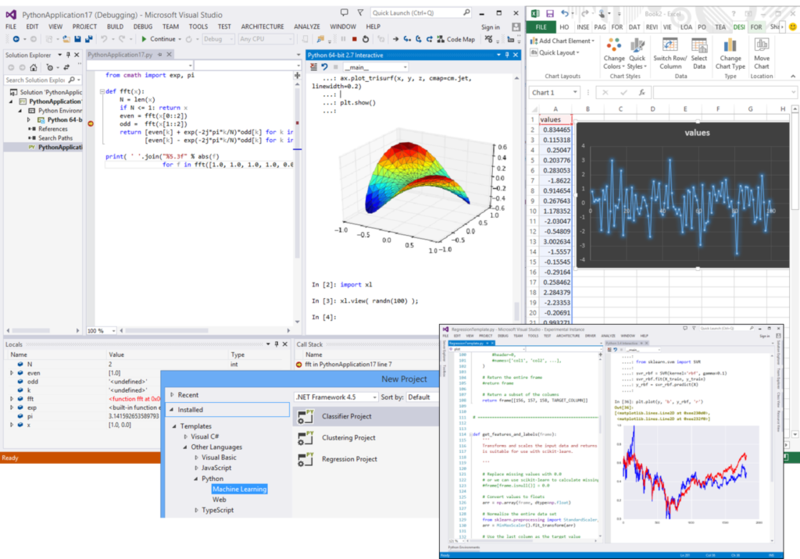 Microsoft Visual Studio 2017 is arguably the most advanced integrated development environment (IDE) available for programmers today. 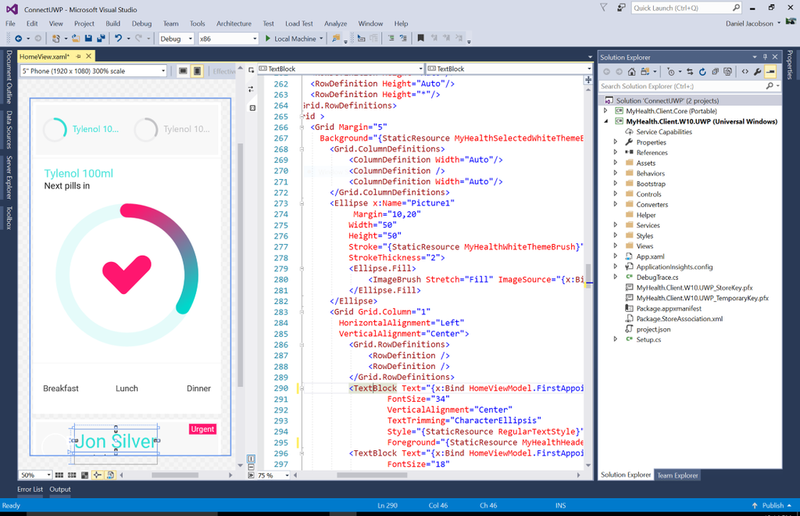 With Xamarin s advanced debugging, profiling tools, and unit test generation features, it s faster and easier than ever for you to build, connect, and tune native mobile apps for Android, iOS, and Windows. You can also choose to develop mobile apps with Apache Cordova or build C++ cross platform libraries. A brand-new workload-based installer optimizes your install to make sure you have everything you need and nothing you don t.
Visual Studio is packed with tons of performance enhancements to the core features you use every day. You ll also see a noticeably faster startup time, lower memory footprint, and higher degree of responsiveness throughout the entire development lifecycle. Built-in tools provide comprehensive integration with all of your .NET Core, Azure applications, services, Docker containers, and more. The experience is so seamless that you ll feel like you re working from inside an Azure datacenter. Enjoy complementary access to training from top partners, including Pluralsight and Opsgility, for Enterprise and Professional customers. You ll also get access to software licenses from select partners, such as Parallels and SyncFusion. Together with Visual Studio Team Services and Team Foundation Server, seamlessly deliver software to any targeted platform. Xamarin Test Recorder, together with Xamarin test cloud let you test on thousands of physical devices right from within the IDE. Extend DevOps processes to SQL Server through Redgate Data Tools and safely automate database deployments from Visual Studio.